A beautiful garage door is the ideal way to make your home more attractive. Even if you don't need garage door replacement service, a new one will make your residence look modern. 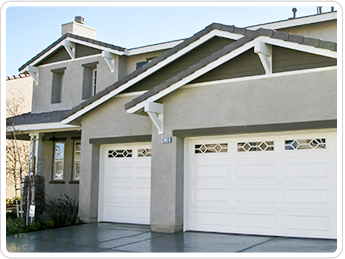 Discount Garage Door Repair provides top-of-the-line garage doors and garage door installation in Frisco, TX. Because we both sell and install overhead doors, you save on garage door services. We also help you decide on a door that complements your home's design if you're not sure what to choose. By observing homes near you or in other locations, you know that a garage door can enhance the overall appearance of a residence. Installation of a quality door will distinguish your home from all the others in the neighborhood and increase its value. There are a variety of garage doors on the market, but not all of them are equal. We believe that a garage door should be sturdy, user friendly, and stylish. Garage door installation is a job that should be performed by experienced technicians like ours. We start the process by carefully removing the existing door. This involves disconnecting the door from the pulley system, unscrewing tracks, and removing each panel one by one. To make sure that the garage door you purchased fits the same space as the existing door, we measure the height and width of the opening in addition to the length inside your garage. Hinges and handles are attached at this point in the installation, too. Next, we place stops on both sides of the opening and set the bottom of the new door in place. The process includes installing the rest of the panels, installing the rollers, securing the tracks, and attaching the springs. As you can see, installing a garage door is anything but simple; however, we do a thorough job to make sure that you are satisfied with the results. We have a reputation for performing complete garage doors service. Contact us for complete garage door installation in a timely manner. We proudly serve Frisco, Plano, Mckinney, The Colony, Prosper, Aubrey, Lewisville, Little Elm, and Allen, TX and the surrounding areas.